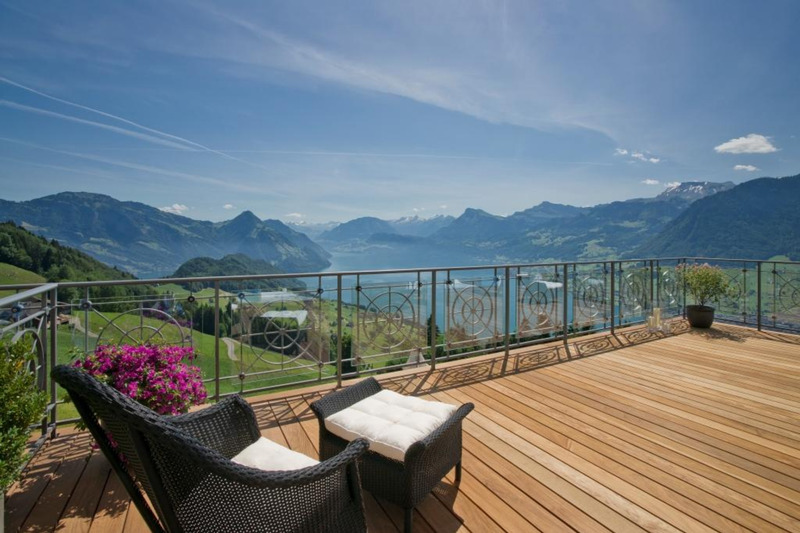 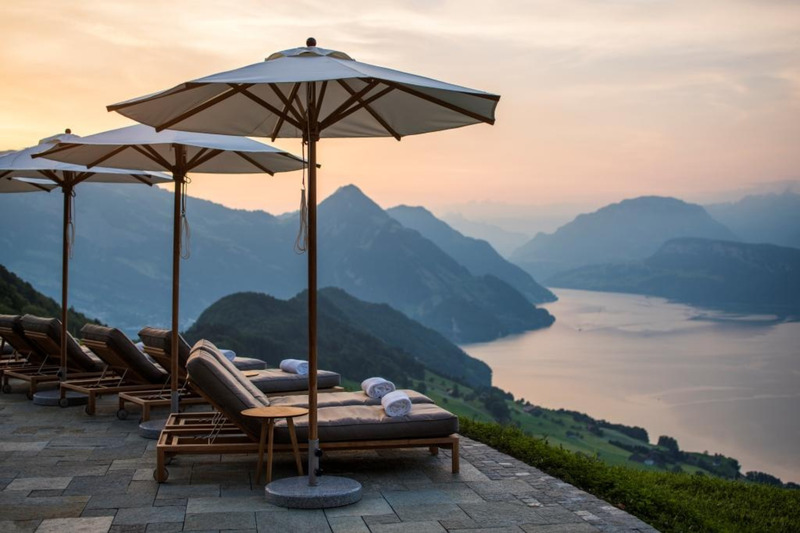 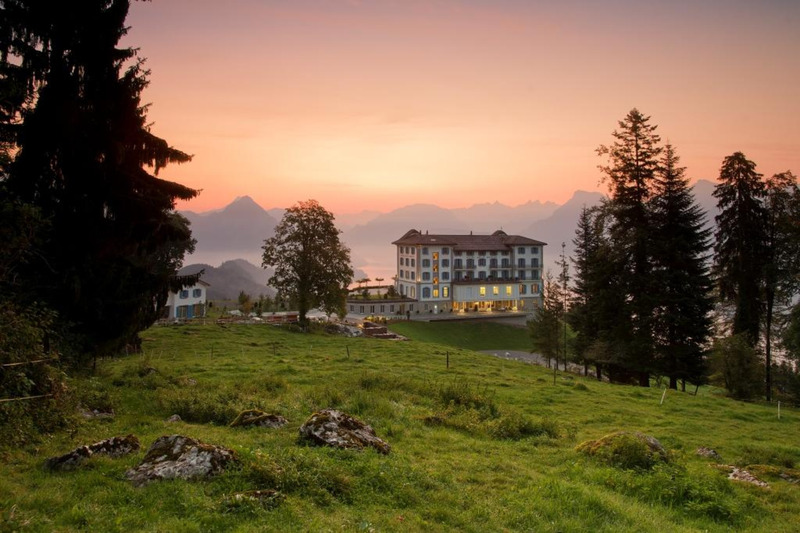 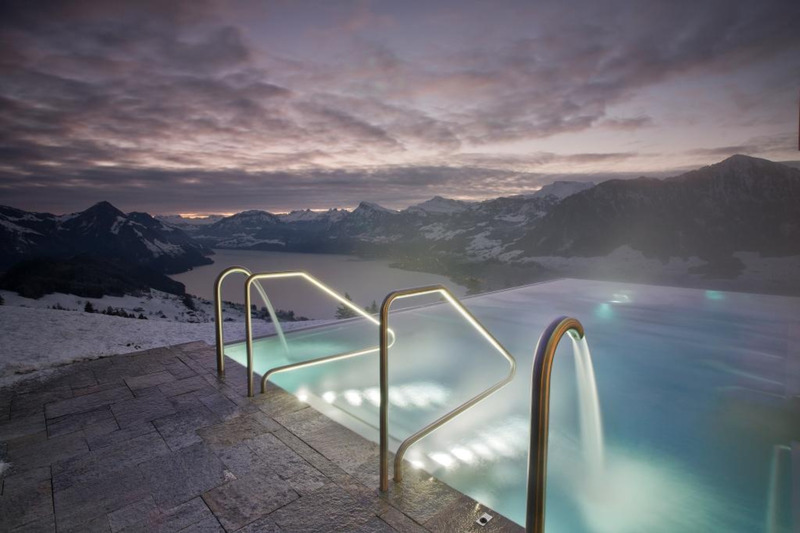 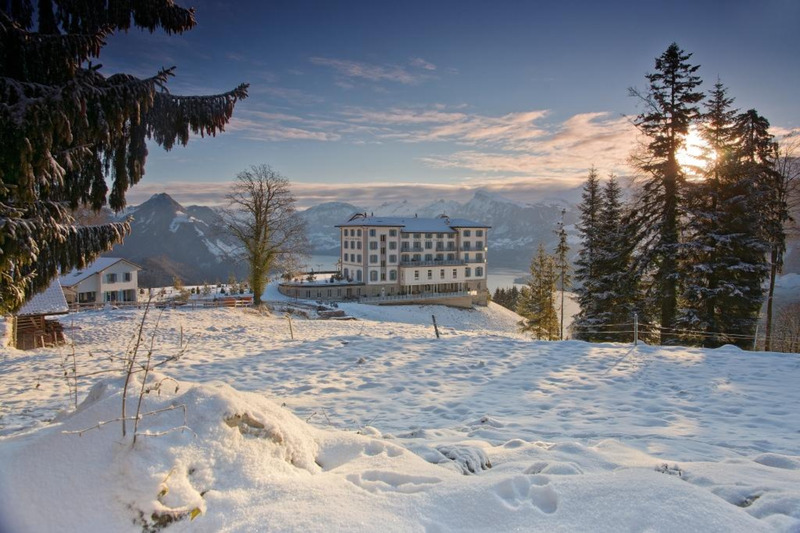 Get the celebrity treatment with world-class service at Hotel Villa Honegg Rising high on Mount Bürgenstock, this early 1900s villa offers luxurious rooms with balconies and a heated infinity pool overlooking Lake Lucerne. 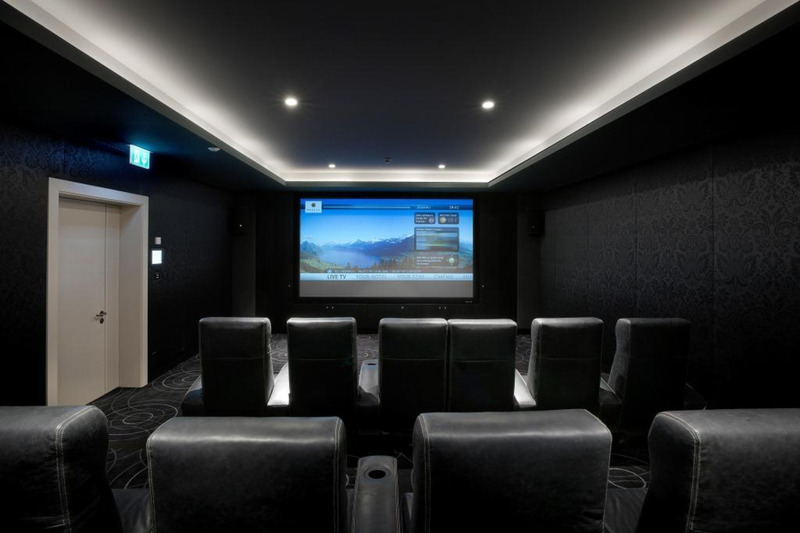 Facilities include a private cinema and a wellness centre. 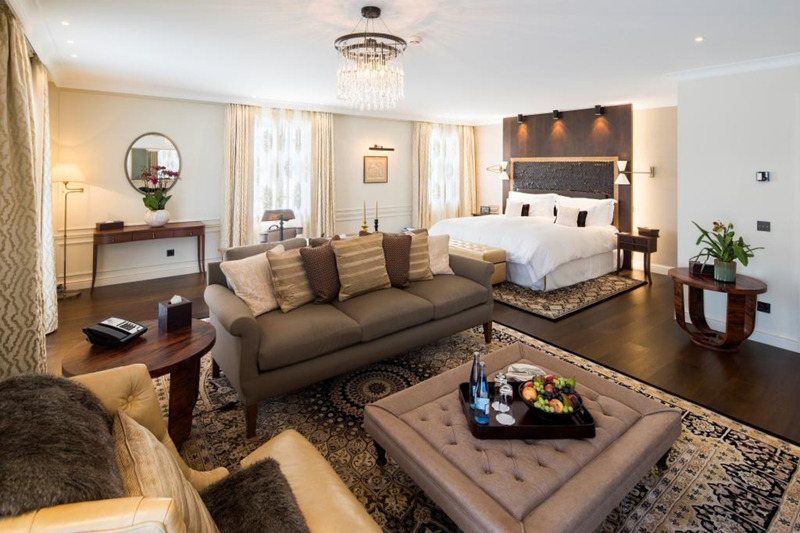 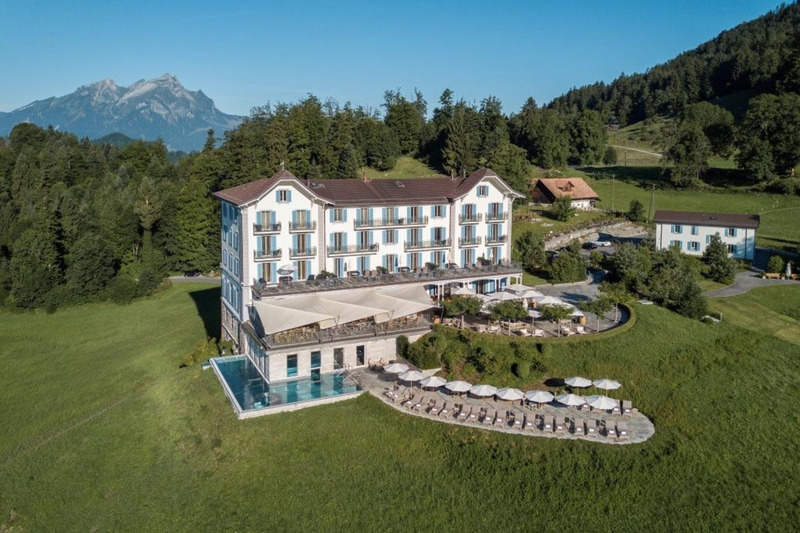 Hotel Villa Honegg was entirely renovated in 2011 and its air-conditioned rooms are decorated with leather armchairs and relaxing beige colours. 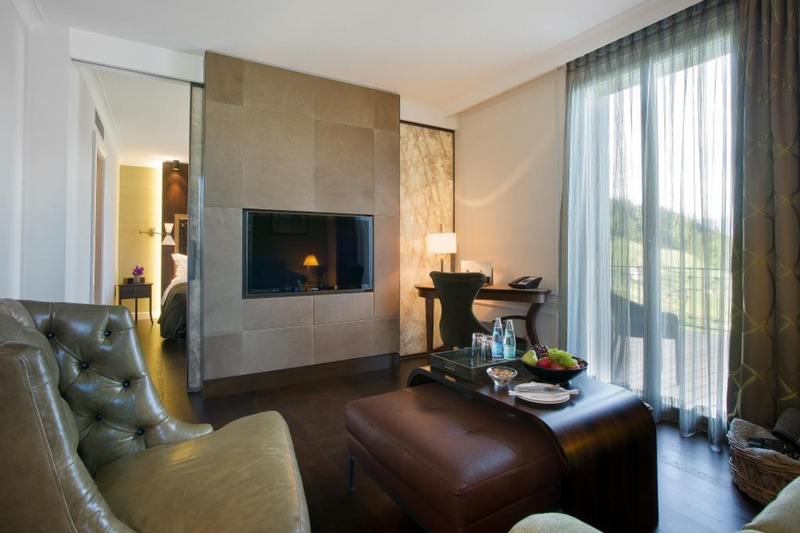 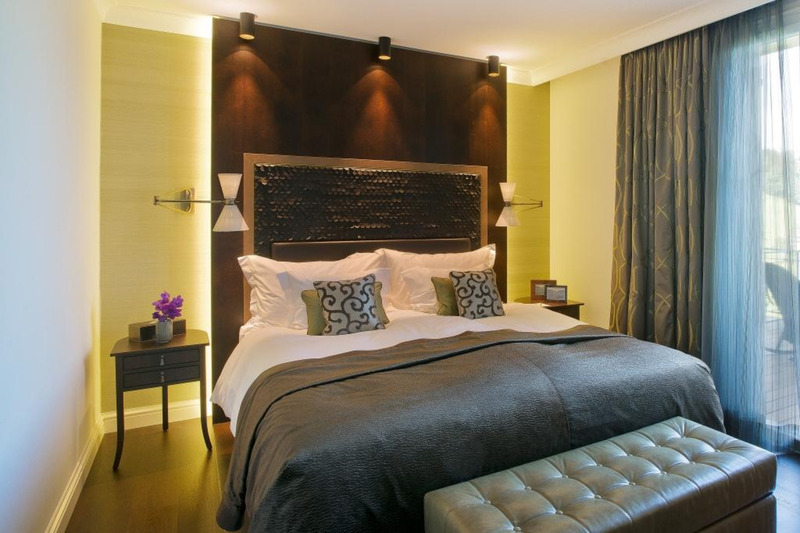 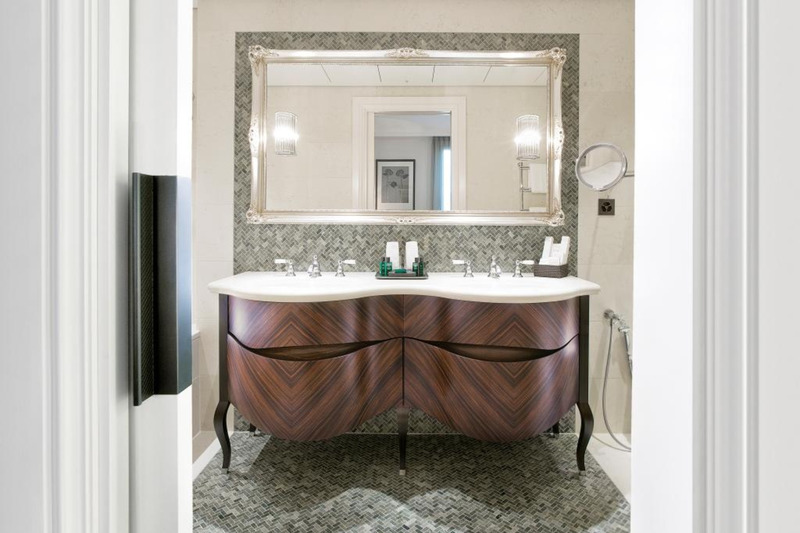 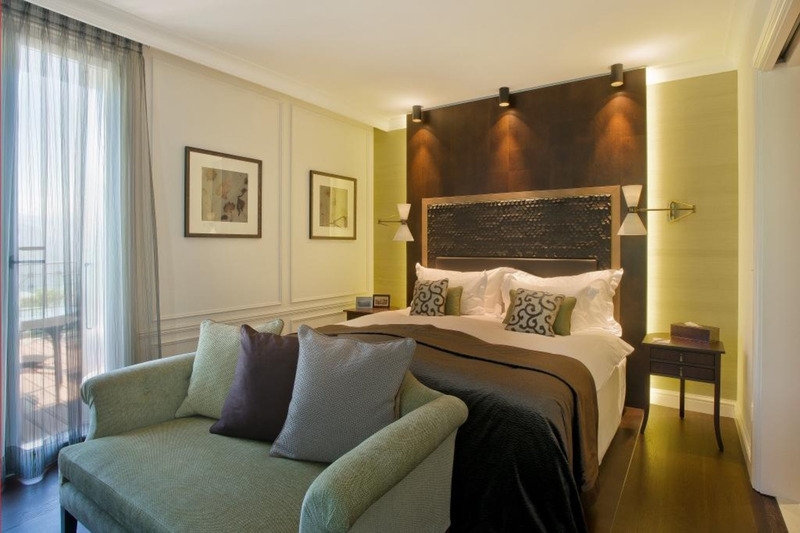 All rooms feature a Nespresso coffee machine and are equipped with free Wi-Fi, flat-screen TV and safety deposit boxes. 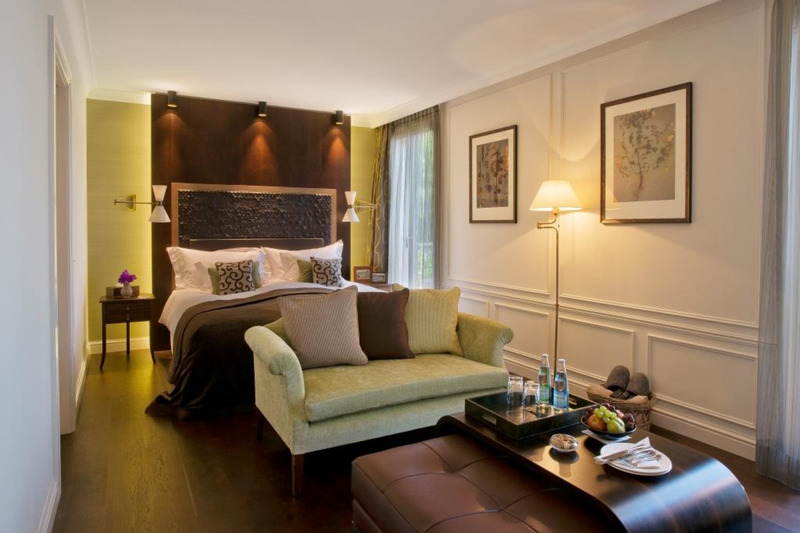 All guests receive coffee and tea in the room, as well as bathrobes and slippers. 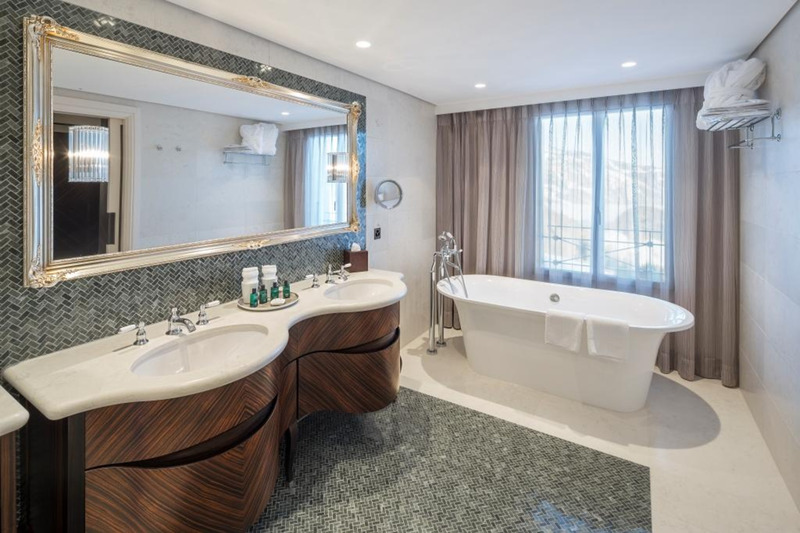 Guests can exercise in the modern gym or relax in the wellness area, with hammam, sauna, steam bath and indoor pool. 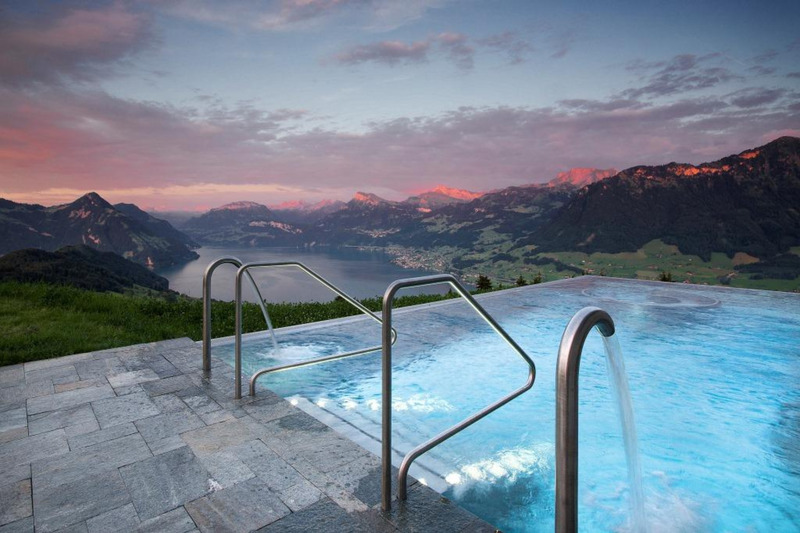 A wide selection of massage and beauty treatments are also available. 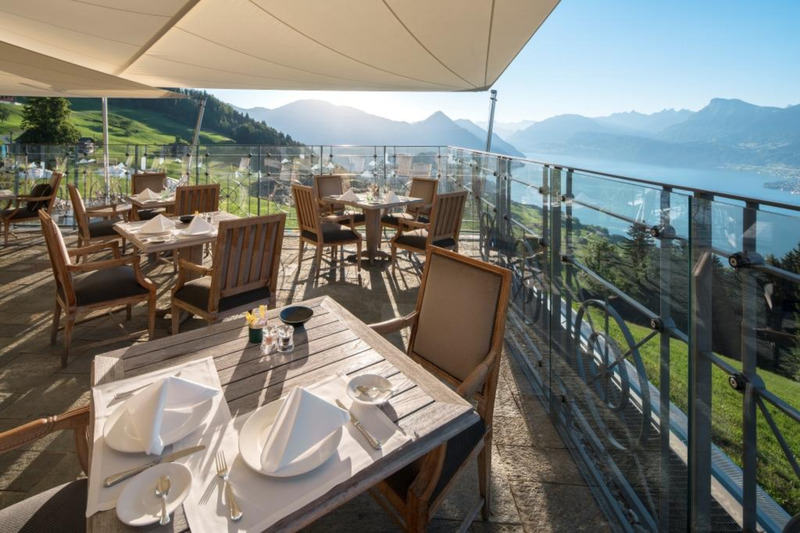 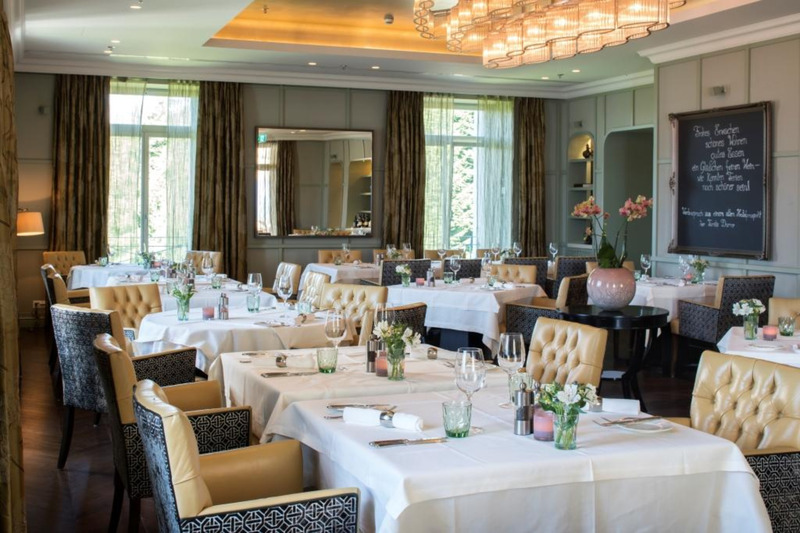 There is an elegant restaurant with terrace that serves local dishes and Lebanese specialities, while the lounge bar offers a fireplace and an extensive cigar and cocktail menu. 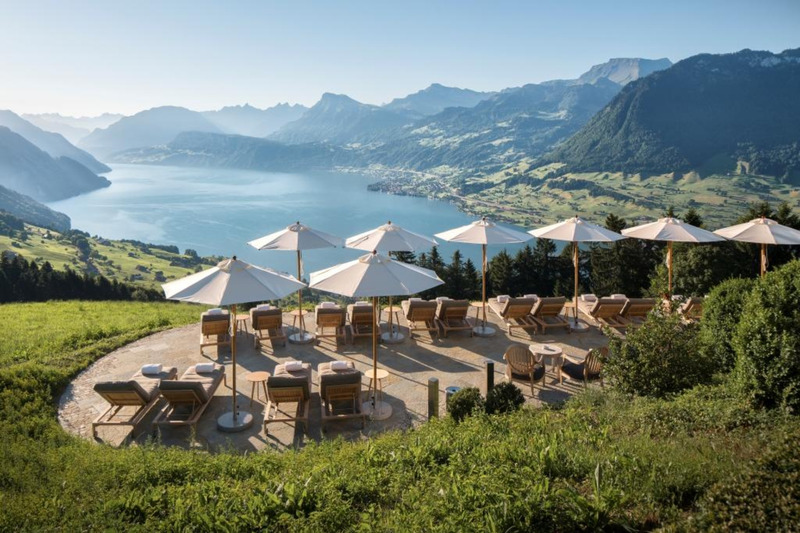 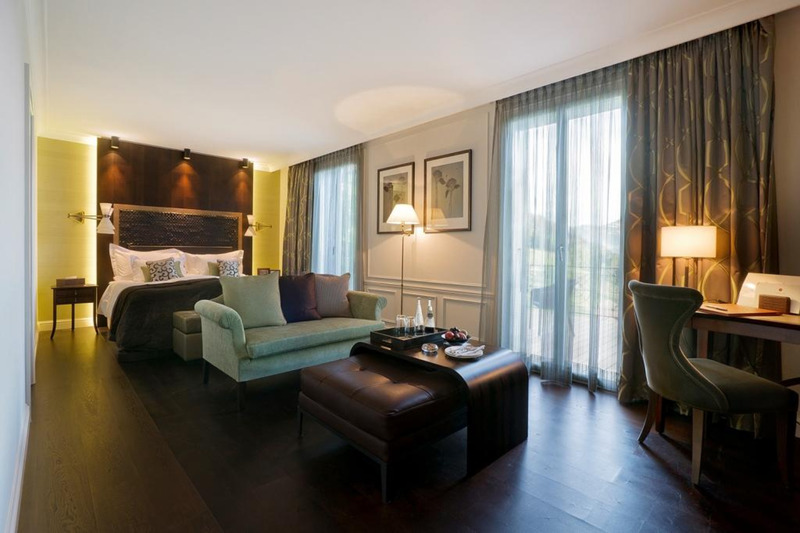 Honegg Villa has a 24-hour front desk and guests can use the free electric bikes or visit the 9-holes Bürgenstock Golf Club, which is just 1 km from the hotel. 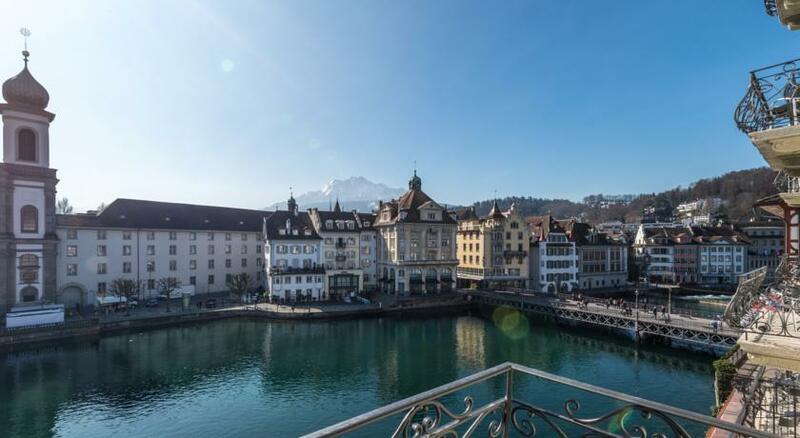 Lucerne is 20 minutes away by car.